How to make sense of the often surprising and paradoxical actions of Pope Francis? Is he in the process of betraying the Church, or is he putting it back squarely in the political arena, which it had seemed to have abandoned since the end of WW II ?? With a Jesuit in charge, almost anything is possible. 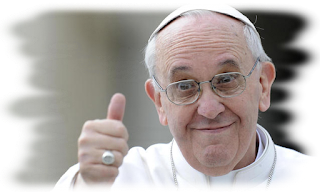 Pope Francis is a Jesuit true and through. 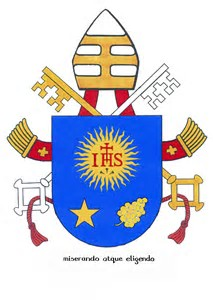 He is in fact the only Jesuit to become Pope in the History of our Church. For this Catholic and very political order created in 1540 by the Basque Ignacio de Loyola, it is simply a huge triumph. The order almost disappeared following a decision by Pope Clement XIV, who ordered in 1773 the "Universal Suppression" of the Company of Jesus. In his bull, he clarified: "It is almost impossible, with the Society of the Jesuits surviving, that the Church could ever find a true and lasting peace." With such a warning, one can surmise, what could possibly happen with the Church being wholly controlled by a Jesuit?? Why so much lack of trust? Pius VII, who restored the Company of Jesus to its "Universality". Never the less, the political powers at the time, continued the sidelining of the Company. It was true notably, in France, Germany and Russia. But it was Switzerland who won the gold medal, on that subject: Its territorial interdiction lasting a whole century, from 1874 until 1973. 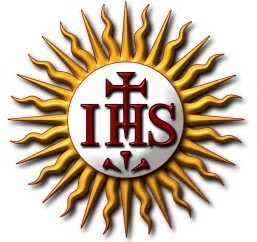 Why such a hard line against the Jesuits? Mostly because their allegiance to the Pope, was in direct conflict with their allegiance to their own national governments at the time. The power of the Jesuits, both political and commercial, generated a lot of envy. In addition to the expulsions, trials against them often ended with the confiscation of their assets and properties. The encyclopedist Jean le Rond d'Alembert noted: " If they have generated so much hate, it is because many looked at them, with reasons, as the fiercest of opponents, thanks to their reputation and intrigues. Nowadays still, their internet site recommends to : " help thy neighbor through politics". With Pope Francis at its head, the Church is finally getting back into real politics, and doing so very openly. 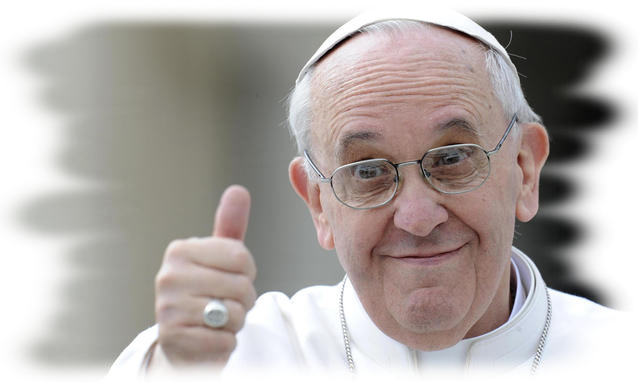 It is a fact: that all the actions of the new Pope are openly assumed political operations. In this, he achieves the beginning of the break initiated by Pope John Paul II with the Vatican asthenia, inherited from the numerous ambiguities of Pius XII. One particularly right in your face sign, has been the reopening of the canonical dossier of the Croatian Cardinal, Alois Stepinac, Archbishop of Zagreb, accused of having been complecent in regards to the slaughter of Orthodox Serbs, Jews and Gypsies, at the hands of the Ustase of Ante Pavelic starting in 1941, without any opposition from the Church. In doing so, Francis will have to lift the veil, that the Vatican covered this tragedy with, and which has been a strong factor in its retirement from the political scene, since the end of WW II. With it, is the strong risk of seeing many skeletons fall from the proverbial closets. Fall, which could sweep the embarrassing Stepinac with it. Elsewhere, Francis interferes without any qualms in the internal affairs of countries in his sight, even so, it is a big no no for a head of State, which he is. His determination to sweep any opposition to the influx of migrants is one of his shocking symbols. One can surely remember the Mass he celebrated in Lampadusa in 2013, on an Altar made with the remains of sunken boats. Another example being the first trans-border Mass in History, which he celebrated in the middle of the Presidential campaign in 2016, in front of two hundred thousand faithful parked on both side of the border of Ciudad Juarez, one of the most symbolic point of passage for illegal aliens in the USA.
" enjoy a real peace of mind" as Clement XIV so aptly put it. 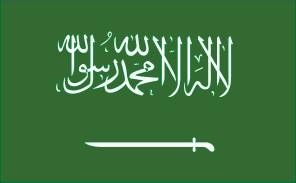 (which he qualifies as :" this old sterile grand mother") to reject any notions of self identity, in regards to the migrants in general, and to the Muslims in particular, he is sure to create a great push back..
One could ask, why he is insisting on promoting Islam so much? Why for example declare Bangui the Capital of the RCA, as the spiritual Capital of the World (2015)? Knowing full well that the RCA is led by a Muslim president and shows all the symptoms of falling into an Islamic conflict. The list of his pro-Islamic positions is too exhaustive for me to cover it all in here. re-politicization of the religious movement. Pope Francis appears to want to re-politicize the Catholics to re-Christianize them, as well as to turn them back into zealous Missionaries. Just as the Muslim Brotherhood has politicized Muslims to better re-Islamize them. In the eyes of the first Jesuit Pope, religion and private sphere are antinomic, just as in Islam, which is used here as a benchmark. For Francis, what really counts is to send Catholics back into action, which translates into the conquest of lost souls, starting with those Christians perceived as heretical, such as Evangelists. Sacerdotal weapons, in particular Canonisation. 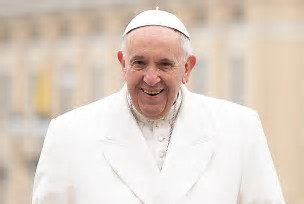 Indeed Pope Francis does not have anybody that can challenges him in regards to Sainthood. Therefore he canonizes like no one before. As of October 15th 2017 the count of Saints enacted during his reign is clicking at 885 new saints. The previous record of 443 held by John Paul II is already largely eclipsed. This successor of St Peter can even proceed with "equipollent canonisations". In other words by Decree. Finished the long processes of beatification, followed by canonisation which took ages. Finished the recognition of a known miracle. We decree at the risk of devaluating the quality of Sainthood itself. A fact dully noted by several Catholic media outlets. The last Equipollents to date: Catholic missionaries in Brazil, massacred in the 16th century by Dutch Calvinists, during an historical era of competition without mercy for the evangelization of the local Indians. They were victims of "reduction" as it is called in the official Jesuit lingo. Not to be confused with the "lustration" , another term from the Jesuit glossary, which signifies more clearly the epuration of dissident priests. A practice well known to father Bergoglio, in Argentina, particularly in his capacity as "provincial" of the local Jesuits. During the period of the Military Junta, and its arbitrary sequestrations and other political disappearances, the future Pope was a strong opponent to the crypto-marxist theology of Liberation. He actually had been a militant of the Peronist movement of the "Iron Guard" in the early 1970s. After the Junta fell, he was accused by some to have delivered dissidents to the military. He honored his intimate friend Admiral Eduardo Massena ( a graduate from the controversial School of the Americas at Fort Benning, as well as a known member of the Masonic Logde P2) with the title of Doctor Honoris Causa from the Savaldor University in Buenos Aires. This earned him to be investigated, while his friend the Admiral died opportunely of cardiac arrest, while under Medical care in his Hospital room. In fact, using his ecclesiastic privilege, Archbishop Bergoglio never went to the Tribunal to be heard. Instead he received the inquiring magistrates at the Chancery, where he told them a lot of nothing. Having lived and survived, that kind of troubled times, Pope Francis is not that impressed by some of the politics inside the Vatican. 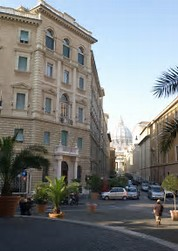 One can expect to see a continuous presence of the Holy See, in the middle of these disturbances. Despite the current political trend which is to manage disturbances to control power, Francis seem sure that controlling its orchestration is instead insuring his power. He will achieve this in exchange of a few smiles and authoritarian promises of peace. This was reaffirmed from the start of his reign by his choice of a name with the aura of innocence. Hi Tim! You have published a very strange article, but I am not sure if you are aware where can it (mis)lead your readers. Can you please provide more details and sources about Cardinal Stepinac's "complecent in regards to the slaughter of Orthodox Serbs, Jews and Gypsies"? Thanks for letting me know as I had not seen this post. It's by Frenchie...as can be seen in the credits at the end, however, to clarify, I also noted it at the top. Feel free to asked him. Sincerely. As a result, the KAKA filled NEO Cult propaganda machine is ever busy propagating false miracles of Carmen, to expedite the process that would lead to her canonization...even though she and Profit Kiko were already recognized as a Saint by their cultist followers. Hello Kora, the sources about Cardinal Stepinac, are a matter of record. His close association with the Croatian government during the occupation by the German is well documented, and has been the subject of several books and documentaries. The conflict in that region during WWII was particularly bloody and brutal. The Ustase for the Croats, the Tchetniks for the Serbs and Communists for the rest of the country all had their hands dirty. The fact that the Archbishop did not do anything to stop the pogroms, mass murders and deportations, at best is embarrassing. This is why Rome has chosen to be silent for so many years. In Fact many anti-Catholic groups were more than happy to use these events to discredit the Vatican. This was part of a concerted effort, which also saw a campaign of character assassination against Pius XII. Francis being willing to reopen such explosive dossier is a strong example that he is not going to back down from controversy, in fact he relishes the fight. I am Croate and Catholic, so I could object in many ways such a grave distorsion of the truth in your article and post, as well as your superficial approach to the very complex and sensible historical matters like: political and ideological disaccord between Croats and Serbes, state of Croatian people and society in 20th century, role of Vatican in Croatian past, relationship between Cardinal Stepinac and ISC Governement, Cardinal's attitude about saintity of humain life, and Francis' purely political game over his canonisation. "The fact that the Archbishop did not do anything to stop the pogroms, mass murders and deportations, at best is embarrassing." I can only imagine the sources you were reading, but this statement about Cardinal Stepinac is equally insane and blasphemous as the previous conclusion about him exposed in your article. "This is why Rome has chosen to be silent for so many years." This has nothing to do with the real reason why the Rome was silent! Please be aware that this article won't harm the Saint Aloysius Stepinac (Cardinal Gerhard Müeller already confirmed that his saintity is out of question in one of his recent interviews) nor will it bring any clarity regarding his destiny and importance to the other uninformed Catholic faithful worldwide, but surely could throw shadow at the Junglewatch, which is something I regret since I have considered you to be a reliable source. Dear Kora, thank you for your clarification, but I guess you are missing my point. Which is that Francis is more than willing to use controversial issues to achieve his goals. Being from a generation born right after the war in Europe, I am very aware of the sensitivity of local issues, specially when it comes to your region. The issues regarding the Cardinal are extremely complex, yet they are and will be used for their shock value. It is in no way a judgement on my part, but rather a statement about the cold reality of the high stakes being played for. As for my sources, beside what I have been able to get from my Alma mater at Stanford, I have had access to documents at the Vatican through my contact there, as well as the personal archives of the Debelic and Lorkovic families. Since you are Croatian, you should be able to piece this trail back together. I understand this issue, like the issue about Islam, and the Argentinian Junta period, were going to be sensitive for some, like you. Please do not loose focus on the message. Again, I truly appreciate your input. Please accept my reassurances that these issues were not taken in vain. The consciousness of responsibility that, as a spiritual leader, I have before God, the love for the people from which I grew up, and the piety towards the homeland all motivate me to turn to you, Much Appreciated Sir, as well as to your fellow doctors, with a few words regarding the question that not only deeply touches human conscience, but is of great significance for the entire national life. This is the question of the abortion, which has expanded so much in our homeland that it has somewhat got a character of true national suicide. By the nature of your profession, you can beat this national evil in a most successful way. And precisely in that fact lies the justification of my appeal to you. Abortion is evil in itself. No social indications, no scientific reasons can justify a direct abortion, nor can they make it become something else than what it truly is, and what it remains before God, namely the murder of an innocent man. And the intentional murder of a man cries to Heaven for vengeance. It is always repulsive and sinful, especially if its source is a personal interest and a greedy aspiration for acquirement. Abortion is also a huge social evil that has brought so much troubles not only to the individuals but to entire families, and that has severly wounded the tree of national life in our time. While exposing, before those who are supposed to be the champions in the fight against abortion, its inner social wickedness, I anticipate that some might just laugh pityingly at my appeal. 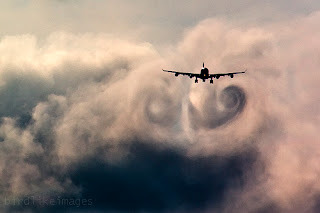 But no contemptuous smile can remove the unchanging reality, emerging from natural law and positive revelation, meaning that the direct abortion is a grave ethical evil within itself. Similarly, it can not erase the sad facts and bloody wounds, which - according to the recognition of true observers of national life - have been caused by the vice of abortion. Therefore, the contemptuous smile over my appeal would only be a reflection of the profound lack of the seriousness of life, with which all truly thoughtful and ethical individuals have to judge the deepest and most substantial questions of the soul and eternity, family and people. For this reason, on the other hand, I do not doubt that many of these gentlemen to whom this letter is addressed, having high religious and ethical awareness, in the nobility of their soul will feel that my words are true and justified. Accordingly, in the consciousness of the great responsibilities before God, in the love for my people and homeland, which is in me stronger than any human concern, and in deep hope that my words will be received with the same love with which they were written, I turn to you as to a doctor and I implore you, Much Appreciated Sir, to obtain the most that you can within your knowledge there where (with religious instruction) exists the greatest opportunity to fight abortion, so that our national shame and wounds disappear as soon as possible. May you, in this noble endeavor, be lead by the high motives of true and sincere love for the people, and by the high ethic consciousness that derives from the deeply rooted religious perception of the eternal lawmaker and the irreconcilable sanctions of his law, which will never be omitted, not even if the abortions were maybe approved or silently crossed over by the human laws. A funny thing: one of the local clergy knowing I am in distress over my experience in the high demand movement that we mainly talk about here, wanted to pack me off to some Jesuits deep in the country dozens of miles from a station, a whole day's train journey (each way) from here. I said to him I was not impressed by his notion of combatting one diseased Spanish religion with another! Intriguingly Frenchie mentions "asthenia following Pius XII's ambiguities". Let's face it Pope is a tough job, and there were ambiguities before him. Popes of the 1620s were particularly bad. Institutionalised acedia (unbelief) has been a peril for both the more Catholic and the more Protestant style alike, since about 1200. I think the balance got tipped - on the side of the drain hole - in 1959 (just after Pius). Pius was in a difficult position, since he could not obviously reveal some of what he knew about the ins and outs of the WWII conflict. Yet at the same time, he became hostage of his own hesitations. The very present undercover masons, allied to some very anti-Catholic political and religious parties took advantage of these ambiguities. It gave an opening for the so called modernist to advance their agenda, and force the Vatican diplomats on the defensive, hence the asthenia that followed. Pope is indeed a tough job, and Pius XII was probably one of the least understood and appreciated Pope of modern times. At the time he was at the switches during the most cataclysmic events of human history. My blood curdles at what Palmerston, and Curzon (a main architect of "Islamic States") inflicted on more or less every country of the world. And at the destruction of Magdeburg by imperial forces in a supposedly "Catholic" cause in the 1630s, whereas it would have made a far more balanced capital for Germany than Berlin did. We are reeling from these things in the here and now. So far, the Jesuits are batting 1000. Francis is watering down, obfuscating or eliminating anything that smacks of Catholic Tradition. He wants a one-world religion that has no temporal accountability. In compliance with his "Who am I to judge?" heresy, the institutional Church will eventually become a free-for-all with no moral mandates. The Ustase were extremely brutal Croat Nazis. Stepinac will be discredited by his voluntary affiliation with them. Francis is wise to let documentation of that speak for itself. In doing so, no one can blame him when Stepinac's Cause is rejected. 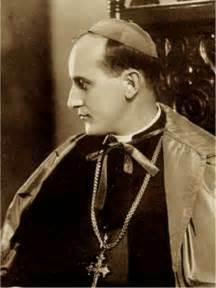 There is nothing against Cardinal Stepinac that can "reject his cause". His canonisation is the matter of the Catholic Church, not the global politics and its interests, thus the whole situation speaks more about Jorge Mario Bergoglio than the Cardinal Stepinac. In other words, if Bergoglio is ready to create the total mess in the Croatia and BiH, so are the Croats (Catholics and Muslims united) to fight back. Besides, Cardinal Aloysius Stepinac is already the saint since the Mother of the Church has approved that we can venerate him in order to obtain protection from the structural (societal) abuse and violence. P.S. - Both Nazis and Communists were brutal, but Cardinal Stepinac was none of the two. He was a patriot.